UMD has had their way with Miami. Going 3-1 against Miami, UMD has shutout the Redhawks on the last two games of the 2017-18 season and both were in Oxford, OH. Can the streak continue? With a goalie like Hunter Shepard, that is a possibility. 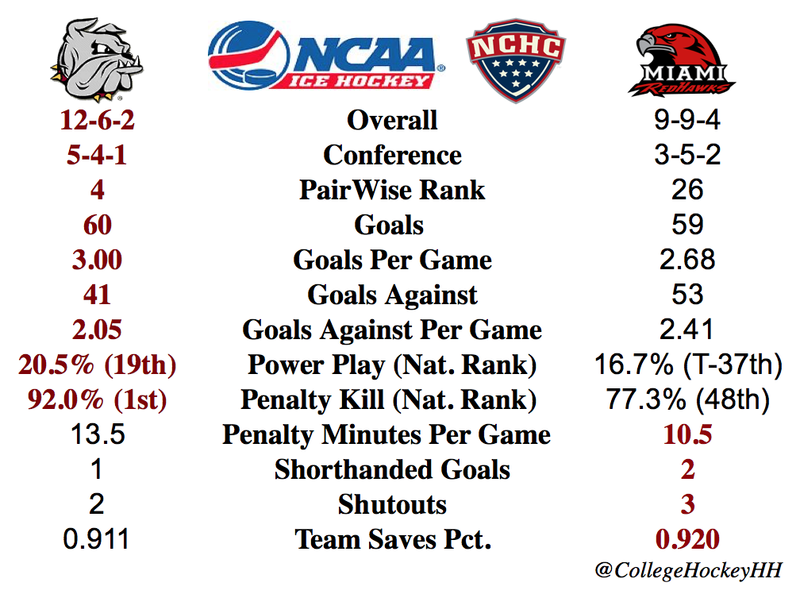 And if it were to continue, it would be a great stride forward for UMD as they start to enter the home stretch.